There is an obvious reason why the classic happy face symbol is always yellow: yellow is the color that evokes happiness. It�s bright and cheerful hue naturally bring us to jollity. Golden Citrine captures the joyful mood of the color yellow and takes it to a new level of beauty and shimmer. 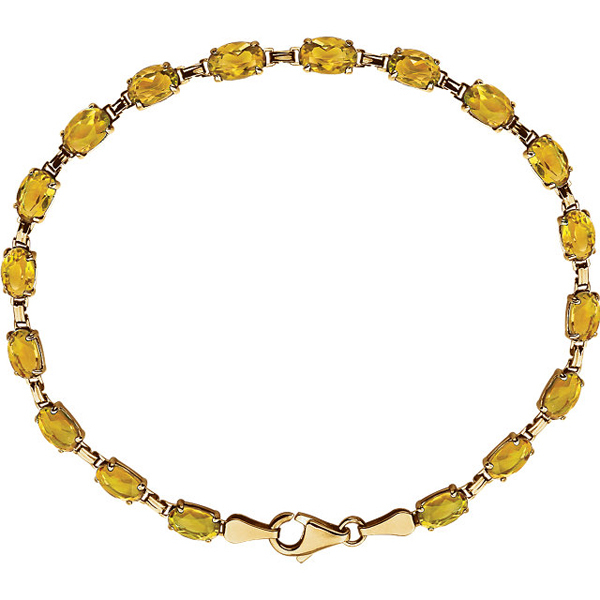 Additionally, Citrine jewelry is amazing in its versatility. The gorgeous yellow stone is bright enough to add color and neutral enough to be a subtle accent. The exquisite shimmer of Citrine is fancy enough for evening-wear yet demure enough for daytime. We are pleased to offer you an amazing array of Citrine Rings, Citrine Pendants, Citrine Earrings and Matching Citrine Sets, all full of affordable and beautiful pieces of Citrine Jewelry. 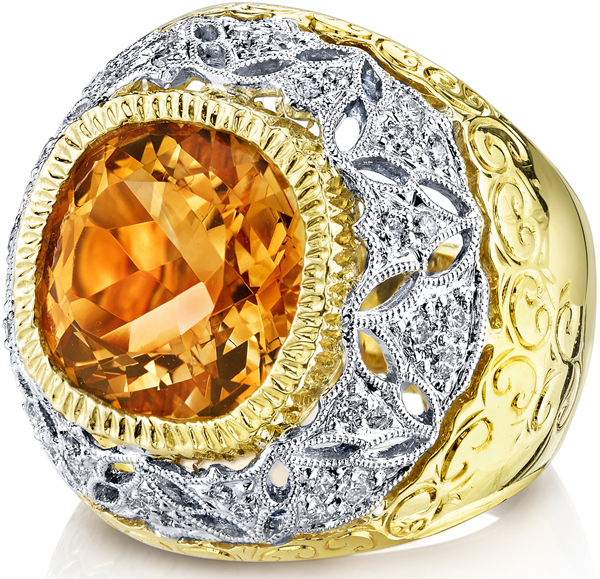 Is there anything more delightful than a big chunk of citrine set into a fun and stylish ring? Whatever your taste in jewelry�whether you prefer yellow gold, white gold or sterling silver�you can find a Citrine Ring that is right up your alley. Whether you like your citrines framed by diamonds, flanked by colored gems or standing alone, we offer Citrine rings in every variety. 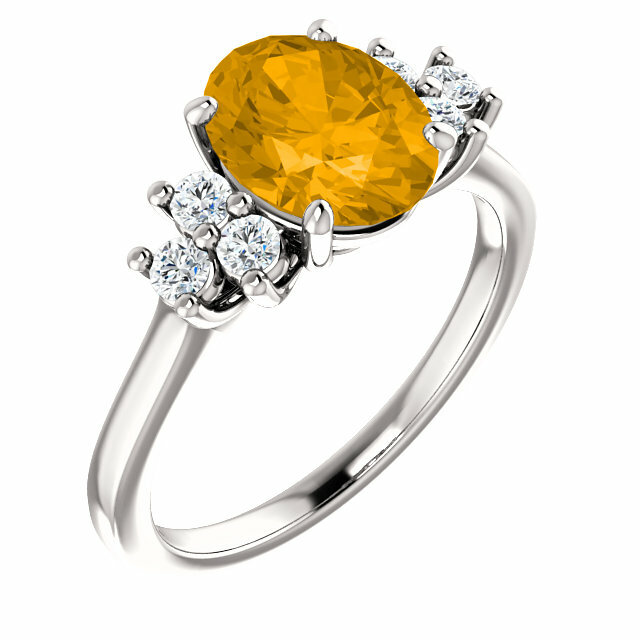 Just take a look at our Citrine rings and you will no doubt find a ring that you will fall in love with. If you enjoy looking tanned and golden, forget about sunbathing, tanning salons and unnatural looking bronzer. 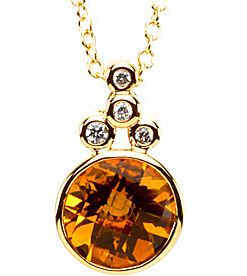 An amazing way to bring out your natural golden shine is to wear a Citrine Pendant. The shimmering golden tones of Citrine will flatter you and bring out the glow of the skin in a healthy and beautiful way. 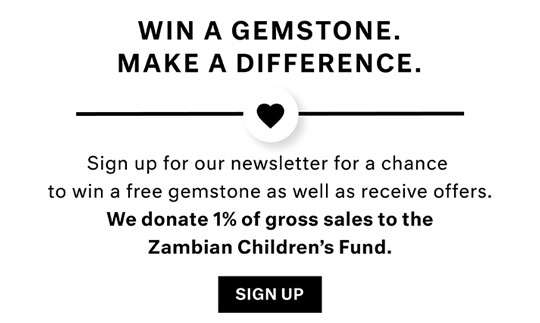 We offer stunning, high quality and affordable Citrine Pendants in the most stylish and fashionable designs. FREE Shipping on all Citrine Pendants. We just love the look of Citrine earrings�a playful dash of golden shine peeking out from behind the hair�and we are so proud to present our latest collection of Citrine Earrings. Citrine, while definitely one of the more affordable gemstones, adds a touch of elegance, luxury and glamour. 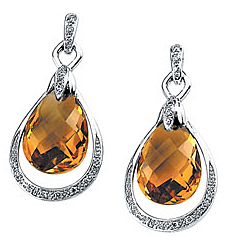 Take a look at our Citrine earrings and pick out your favorite pair today. We also offer matching sets of Citrine jewelry at a discounted price of 15% off of the entire set.